And also won second place in Richmond Magazine’s “Best Day Spa” category in 2015. 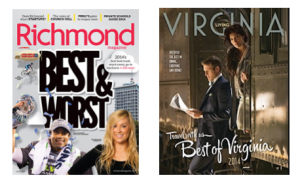 In 2014, Glow Med Spa was awarded “Best Spa” and “Best Facial” by Richmond Magazine. 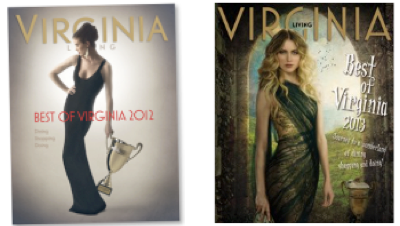 And we were voted one of the top 3 “Best Spas” in Virginia Living Magazine. 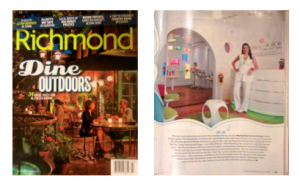 Glow Med Spa’s Carytown’s Waxing Station was featured in Richmond Magazine (Dine Outdoors) Carytown guide 2014. And Richmond Magazine (Beer and Food issue) wrote an article about the Waxing Station called CANDY WAX in October 2013. 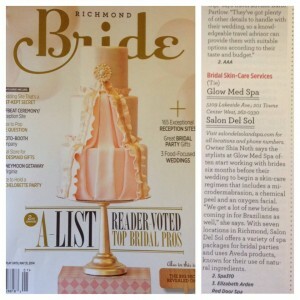 We also won “Best Day Spa” for getting a brides skin ready for the big day in Richmond Bridal 2013. Plus we won “Best Exotic Spa Treatment” in 2011 and “Best Day Spa” for 2012. That makes four years in a row to be recognized as a top service provider in the Richmond area. 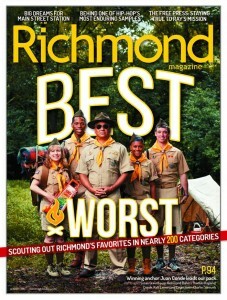 We’re so proud and thankful to be among the great businesses in RVA. 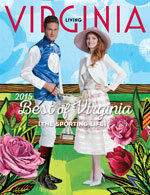 Also Virginia Living readers voted Glow the “Best Day Spa in Central Virginia” in 2012 and 2013! Our Esthetic Team prides themselves on offering advanced, result oriented, customized skincare and laser treatments, as well as the most painless Brazilian waxes in Richmond! Glow’s Massage Team, continuously referred to as the “Dream Team” by clients, will amaze you with their massage skills and techniques. Each spa treatment is custom designed for the client’s unique needs and will enhance your level of well being, from self confidence to physical and mental relaxation. It’s time you come and see what all the buzz is about. If you’re looking for a unique day spa experience that leaves you glowing, you’ve found it. At Glow Med Spa, you will only find the ‘best in class’ Master Estheticians and Massage Therapists. All highly trained with years of experience, each staff member prides themselves on continuously furthering their knowledge base in order to provide excellent service and exquisite treatments that our clients will continue to enjoy as they return year after year to Glow Med Spa. We look forward to meeting you!